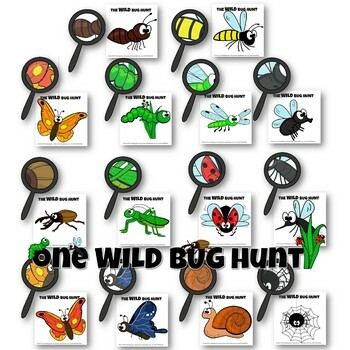 A CRAZY BUG ADVENTURE – 13 Activity Bundle 159 Pages A total of 13 learning stations/printables. Students will enjoy this crazy bug adventure. It’s perfect for filling in your nature activities with lots of bug fun. Students will have fun counting while making their own interactive pocket books. Disperse the magnifiers to the children so they all have at least one. 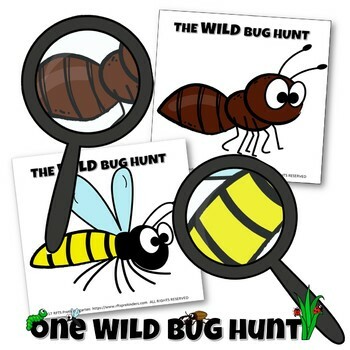 Tell the children to secretly hunt for bugs making sure they do not tell their friends where they find each bug card. Invite them to go on a wild bug hunt together to search out the bugs. If they find a bug, have them place a check-mark next to the appropriate magnifying glass on their recording sheet. Continue until all the bug cards have been found. ENJOY! 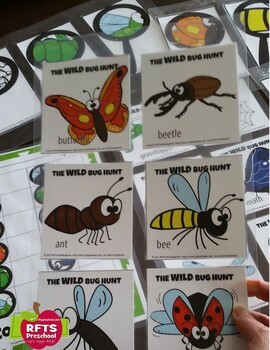 This printable pack is easy to set-up and begin your students play, discovery and study of insects/bugs. An outdoor cooperative group nature activity! I hope you find this product useful for your classrooms! Enjoy and have fun! The desire to learn is the key to every child’s success. Having fun while learning is so important! RFTS products are exceptionally easy and fun learning for your students. Check the preview to see what is inside. 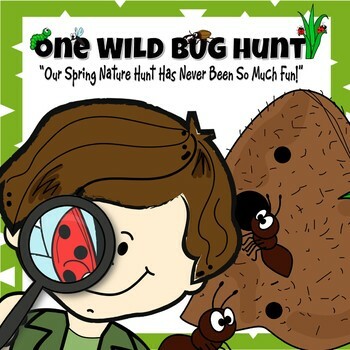 Keywords: , bugs, nature activity, bug hunt, insects, hidden bugs, group nature hunt, pre-k, kindergarten, preschool, centers, printables, activity pack, printable package, print-n-go, classrooms activities, childcare, RFTS Preschool, RFTS, RFTS PreKindergarten, Robyn Birge, Reach for the Stars. We are passionate about providing quality care and education to enrich the lives of children.